← Membership and Workshop registration now online! Tomorrow’s trek to South-east Asia and Africa! Hi folks! Saturday afternoon, 1 to 3:30, at Long & McQuade’s (that’s tomorrow!) we’re on schedule for a musical journey to Japan (Sakura), Mongolia (Mongolian Shepherd’s Song), Pakistan (Laal Meri Pat), Cameroon (E Kereke) and South Africa (Kwela #2). It’s as far away from our Canadian roots that we’ll venture before making our way back to North America in the next few weeks. Reprints of the tune book will be available at tomorrow’s session for anyone wishing to pick-up a copy (free with membership). 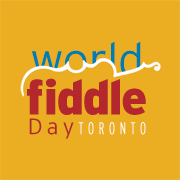 Only a few weeks left before World Fiddle Day at Fort York on May 16 – keep spreading the word about the fantastic morning workshops organized (have you registered yet? ), followed by the guest artists concert and the biggest fiddle jam Toronto’s every heard! Reminder that parking in the lot at Long & McQuade is not possible on Saturday. See you tomorrow!